Kanaan invites you to help us promote the fight against anti-semitism, and join us on Monday, June 18th, for a benefit-dinner of Israeli & Arabic fine dining hosted by Kanaan and prepared by Chef Gal Ben Moshe. All proceedings from the event will be donated to the organisation Young Muslims in Auschwitz, dedicated to fight anti-semitism among German youth. The Dinner will include a 5-course meal of Israeli & Arabic delicatessen, served alongside the finest boutique Lebanese wines. Following the dinner, we will be screening a documentary film about the project and will host a Q&A with its founder, Burak Yilmaz. As you have surely heard in the news, there has recently been a rise in the number of anti-semitic attacks on Jews or Israelis in Germany. We at Kanaan, as a business that was established by a Jew and a Palestinian who prove that coexistence is not just a fantasy but our reality, believe that the answer to hate and racism lies in education. Kanaan has been supporting “Young Muslims in Auschwitz”, an organization founded by Burak Yilmaz, a young German man of Turkish descent. 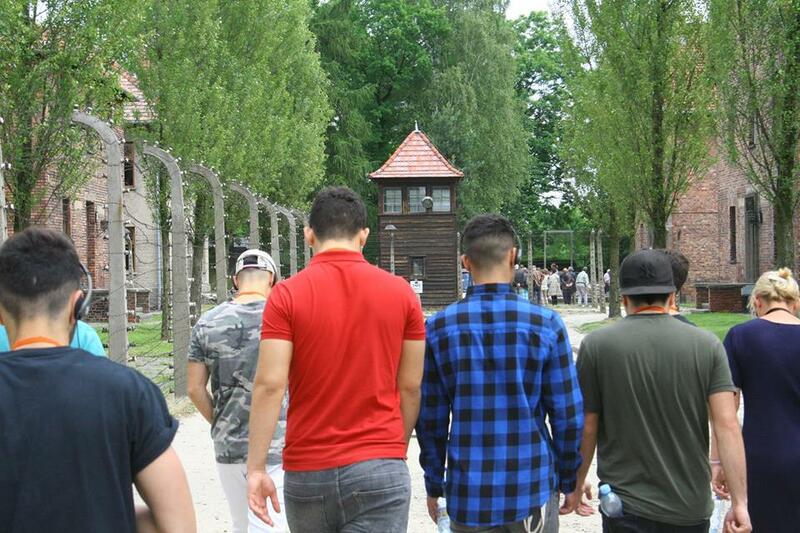 Burak travels each year with a group of Muslim youth – of Arabic, Turkish and Kurdish families – to visit the Nazi death camp in Poland. The participants experience first-hand the atrocities committed there against the Jews and see with their own eyes what the consequences of racism can be. Upon returning to Germany they produce a theatre show based on their impressions. With this play, they then visit schools, and seek to raise the awareness of young people to the topic of anti-Semitism. Now, Burak and his group are looking to spread their message onto the internet, and are producing a video series against jew-hatred in Germany. Together with crowdfunding website GoFundMe they have been collecting donations, and Kanaan has joined in on the efforts by asking our guests to donate 0.50€ for each glass of tap-water they order, and have so far collected 100€ every week. We invite you to join us for this special night, which aims to collect more donations to contribute to this heart-warming project and to building real bridges between our cultures. We are looking forward to hosting you at this event!